A June deadline for reforming the California Department of Corrections and Rehabilitation (CDCR) is fast approaching and the prison unions are clamoring for reform. The unions are demanding reducing over-crowding and for the implementation of inmate rehabilitation programs. Genuine prison reform may become a reality. The justification for decimating inmate programs was because these programs had little obvious connection to the housing and feeding of prison inmates. Therefore, inmate programs like Arts-in-Corrections had its Contract Artists eliminated. Each prison was left with only one position. This was done at the time the California prison population grew beyond 150,000 inmates. 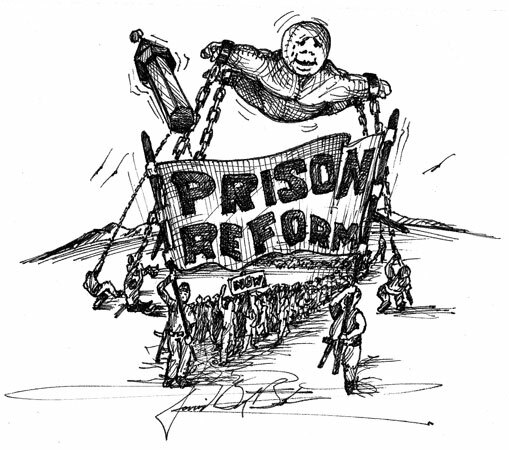 Since then, the prison population has risen to nearly 174,000 inmates and is increasing. Two consecutively appointed directors have resigned and the prison guards union seems to be driving the department. Jeanne Woodward was one of the directors with a tract record of promoting inmate programs and education. In an LA Times opinion article, she stated her resignation was because of a lack of political will to reform corrections. The powerful prison guards union known as the California Correctional Peace Officers Association (CCPOA) was another reason. Even though over-crowding has made our prisons more dangerous than ever before, the CCPOA has a history of supporting a growing prison population. Much like animal trainers engaged in behavior-modification, the CCPOA throws money to politicians supporting its agenda and punishes those it disfavors. Arnold Schwarzenegger can attest to being a target of the union’s displeasure even during a time he supports spending an additional $11 billion on building more prison space and beds. The CCPOA supports tough-on-crime legislation, three-strike and one-strike laws, and resists easing prison over-crowding by transferring California inmates to other states. Three-strike laws have sentenced non-violent substance abusers to 25-to-life in prison. Now Jessica’s law will do the same with a single conviction. 80% of inmates are incarcerated for a drug related offense. These laws may be a good idea in an ideal world; however, prosecutors make mistakes as they did in San Diego with the Dale Akiki and in Manhattan Beach with the Mc Martin Preschool child molestation fiasco. Both infamous cases were overturned and cost taxpayers plenty. One and three-strike legislation are death sentences. The CCPOA also fought Prop.36. This popular proposition has redirected first and second time non-violent substances abusers away from prison and into rehabilitation through community substance abuse programs. Had it not have been for the passage of Prop.36, the California prison population would be much larger today. The Federal government has already taken over the prison medical programs. The dysfunctional system had an inmate needlessly dieing per week. If the CDCR doesn't reform itself by June, the Federal government will also take control of all 33 California prisons. Correctional officers have experience working with dangerous people and know a bluff when they see one. The Federal government isn't bluffing. Federal receivership will emasculate the political power of the CCPOA. This is similar to when President Ronald Reagan broke a union strike by the air traffic controllers. The CCPOA doesn't want to loose its power and political base. Therefore, in an odd twist of fate, the CCPOA may end up reforming the California prison system. It may be the vehicle for implementing inmate rehabilitation and supporting inmate programs. If so, it will serve the State of California and its union members well. Beck-Brown is Prison-Reform chairman with A New PATH (Parents for Addiction Treatment and Healing). 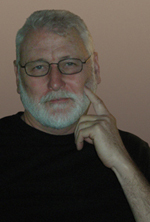 He has worked in City, County, State, and Federal lock ups since 1977.